its strategy we are building new hubs in order to strengthen the connectivity of individual European regions. 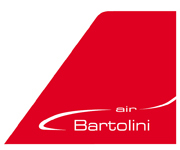 partnered with Bartolini Air for the operation of Adria’s aiplanes based in Lodz. Bartolini-Air SP. Z O. O.